If you took a spin down to the New York International Auto Show last week and saw the US$37 500 (R486 000) Chevy Bolt (electric) parked next to the strikingly similar $17 000 (R220 000) Chevy Cruze (gasoline), the answer is probably a hard no. The Bolt is arguably a better car than the Cruze — but not $20 000 better. Edmunds, the car-research company, recently weighed in with a hard no of its own, warning that the elimination of a $7 500 US tax credit is “likely to kill [the]US EV market”. Edmunds pinned its argument on what happened in Georgia, a state that became an unlikely leader in electric cars thanks to an extra $5 000 incentive. At one point, almost 4% of new cars being sold in Georgia were electric. Then they pulled away the punch bowl. But a very illuminating thing happened after Georgia’s incentives expired. Unlike the Nissan Leaf, which made up the majority of the EV market there, sales of electric-luxury Teslas were barely affected by the loss of the tax credit. In fact, more people are buying Teslas in Georgia today than during the subsidy years. The Tesla exception shows what happens when an electric car reaches parity with fuel-burning competitors in both price and function. Unlike the Leaf and the BMW i3, the Tesla Model S is quicker than similarly priced gasoline cars, has a long driving range, extensive fast-charging network, and is packed with unrivaled tech advances like Autopilot and wireless software updates. 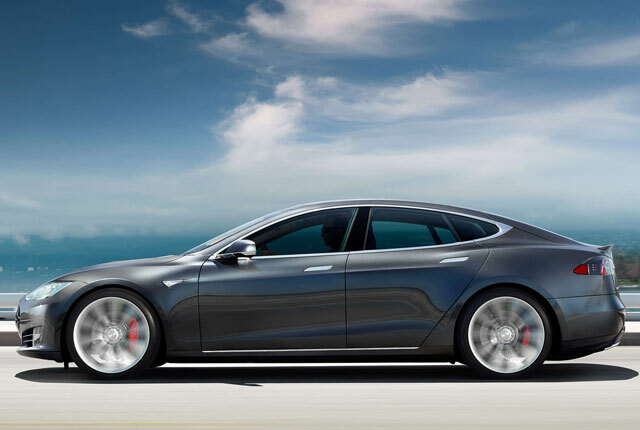 As a result, the Model S is now the best-selling large luxury vehicle in America. Changes to state or federal incentives are unlikely to alter that fact. But those Teslas are premium cars that start around $70 000. For plug-ins to really pass the subsidy test and take over the car industry, they’ll need to prove themselves in cheaper classes of car, and there will have to me more manufacturers besides Tesla. For true mass market appeal, the up-front sticker price is what matters most, and battery prices must come down further. Fortunately, prices are falling fast — by roughly 20%/year. 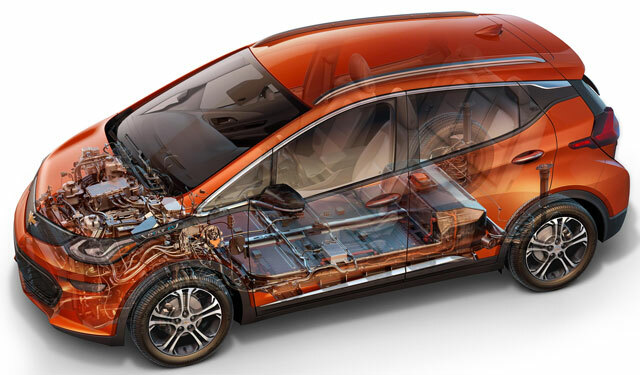 The manufacturing cost of electric cars will fall below their petrol counterparts across the board around 2026, according to a recent analysis by Bloomberg New Energy Finance. The question of when electric cars will cost the same as their combustion counterparts isn’t academic. The $7 500 federal incentive is set to taper off as each manufacturer reaches its 200 000th US sale. For Tesla, that day will arrive sometime next year. Nissan and GM won’t be far behind — and any extension of the subsidy by the Trump administration seems unlikely. Another thing that makes electric cars more expensive is that, at lower volumes (less than 100 000/year of the early models), even the traditional components of a car come at higher costs. Low production numbers and high battery development costs created a valley of despair for EVs that lasted decades, which is why subsidies have been critical to giving the sector enough breathing room to eventually stand on its own. But even where governments are less enlightened, the valley of despair is coming to an end. Tesla, the first to approach price and function parity in the Model S sedan and Model X SUV, will attempt to recreate that magic later this year with the Model 3, a $35 000 entry-level luxury sedan. A longer-range Nissan Leaf will be unveiled in September, and depending on its price tag, it could begin to approach the parity zone in the sub-$30 000 market. And then watch out: in 2018, Volkswagen plows into electrification with an Audi SUV and the first high-speed US charging network to rival Tesla’s Superchargers. Jaguar and Volvo both have promising cars on the way too, and by 2020, the avalanche really begins, with Mercedes, VW, General Motors and others releasing dozens of new models. As far as I know there are still zero incentives for EV is South Africa, apart from the carbon tax not being payable (which only saves R1,000 or R2,000 on the purchase price). So in SA an EV is relatively far more expensive than in Europe, China, etc. Running costs are a good 4x cheaper (yes even in SA) but the purchase price is too expensive for most. And this is borne out by the fact that no Nissan Leaf is yet for sale in Cape Town and there is no charging infrastructure in Cape Town even.